Had the pleasure over the last 7 days of witnessing two new Jamaican books, both by women, and both looking at important social issues. First up, the more recent: This past Tuesday, as we watched for a wily Tomas dipping, ebbing (and ultimately strengthening), well-wishers and media gathered in the Pegasus ballroom for the presentation of media maven Marcia Forbes' treatise (see cover photo right). The book examines the effect of sexual content in music videos on teens and the formation of adolescent values and behaviour. Amid a high-tech, light filed backdrop, the audience heard from Education Minister Andrew Holness and the author herself, while Aggrey Irons presided over the proceedings, and twitterati left their impressions in real time, to be viewed on the Twitter Board next door. A more cozy atmosphere prevailed a few days earlier at the 56 Hope Road site of the Bob Marley Legend cafe, where Barbara Blake-Hannah, a media maven in her own right (and the first Black journalist on British TV) launched Growing Out, her literary reflection on her sojourn in London during the famed swingin' 60s. The combination of open-air and covered space helped the launch go over very enjoyably, and the analog atmosphere was perfect. after reading excerpts, Blake-Hannah, accompanied by Beverly Anderson Manley, presented copies to the National Library and to journalists (yours truly included) and fielded questions. Thereafter, it was time to enjoy some hearty Legend cafe hors douevres and - better late than never - some contemporary African music on CD. And the books themselves? Well, I'm yet to read MMAS, but the advance word is good, and my perusals have yielded an interesting expose. Growing Out is very good indeed. Its only in the last ten years or so that memoirs have come into vogue in Jamaica, and in that still-growing field, this tome stands out. 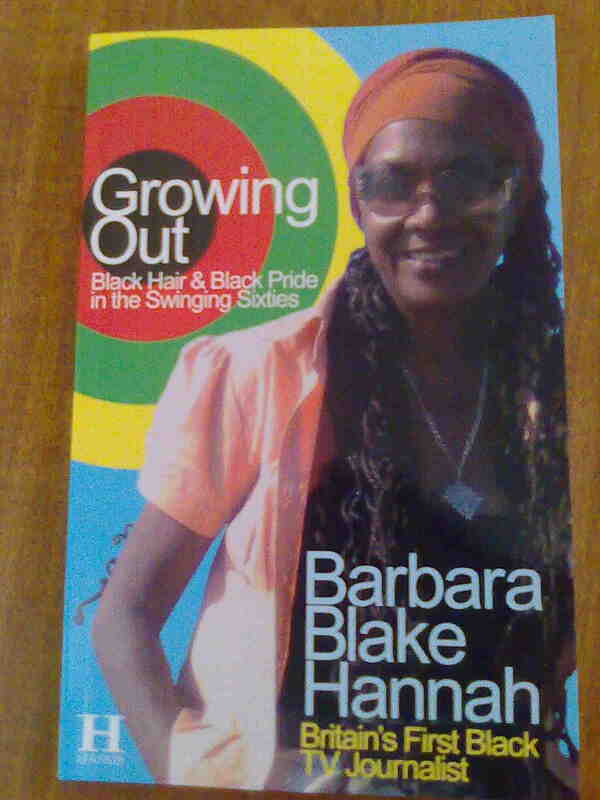 Fluid, witty and heart-felt, Growing Out is important for the present generation of Jamaicans (adolescents included) who have little or no clue of the travails endured by Jamaicans who went to the UK in the 50s and 60s, nor of the breadth of their impact on that society. Memoirs are also distinguished by inside info, and whether its on the BBC, London High Society or the interantional marketing and promotion of The Harder They Come, Growing Out succeeds in this regard. Poignant too, are the scars of racism that over toe the book, as well as the "backstory" of Mr Jones that runs concurrently. 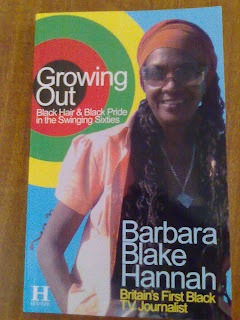 Growing Out and MAS are two welcome additions to the still blossoming Jamaican literary landscape. Insight and inspiration, served fresh.